Roy approaches design through architecture, craft, and community-based participatory art and research projects. He has a range of project experience, having designed a variety of private residences, including tiny homes and cabins; wilderness quest base camps, community centers, animal sanctuaries, and glass art studios. Roy enjoys encouraging people and communities to act as agents in the design of their built environment and, in the process, empower and connect to one another and the environment. He has worked within communities on public art projects such as Little Free Libraries, Parking Day installations, and a community design process in Kent, Washington, to include under-represented groups in their first Parking Day in 2013. Prior to joining Living Shelter, Roy had his own practice in Olympia and Seattle as well as interning under Scott Allen. 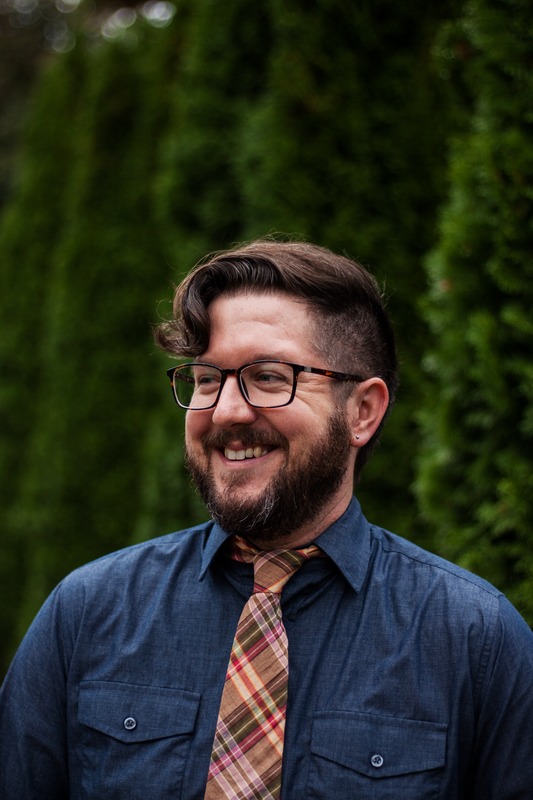 He earned an undergraduate degree in Sustainable Design from The Evergreen State College and attended graduate school first at UT Austin and then UW, finishing there with a master’s degree in Architecture. Growing up in Illinois, Roy spent teenage summers building homes where he was inspired to make a difference in the construction industry with a sustainability focus. In his free time, he finds great pleasure in travel, urban homesteading, spending time with family and friends, hobby carpentry, making art, and dance.